But before I am allowing myself to dive into the Weekender, I wanted to try designing my own bag in time for the wrap up of Purse Palooza over at Sew Sweetness. The hardest part is over (hopefully! )- I assembled four pairs of fifteen tiny flying geese. I've made so many bags- I am excited to use techniques I've learned to create my own design but it's not been easy. I've heard lots of people say, "I hate following patterns," but I am definitely in the opposite camp: it's so much easier when someone tells you exactly what to do! I know I really should be working on more holiday sewing- I need more bags like I need a hole in my head- but I just can't help it. Sometimes I just need to be creative in specific ways and then I can get back to "to do's" and deadlines. 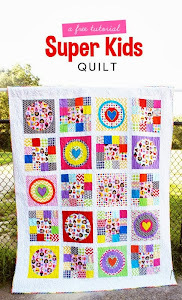 Linking up at Freshly Pieced for WIP Wednesday. Sometimes you just need to take a break from "the list" and do something a little more fun. As for preschooler gifts - the only thing I can think of is those crayon rolls I've seen a few places on the web. Or even just a general drawstring pouch to carry toys in? I love your rows of flying geese with their progression of dots. Great colour combination too. The flying geese look adorable! Great colours. I think preschoolers love bags. Mine does anyway. Have you seen those fish shaped pencil bags? 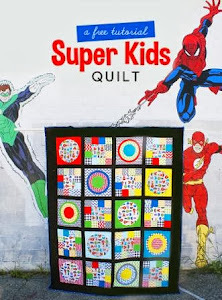 Also, I'm super excited to see that baby boy quilt you made. I bet it's awesome.